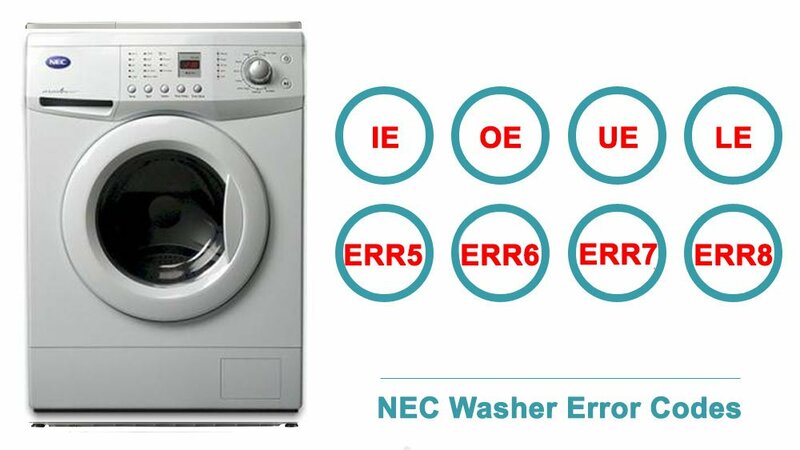 If you have Nec brand washer, fixing technical problems can be challenging. But don’t rush to call the nearest repair service – there’s a possibility to eliminate the defects on your own totally for free. It can be done with the help of repair & maintenance instructions below. On this page, you can see the troubleshooting guides for different series and models of Nec washers. To facilitate understanding, they’re made in the form of tables. They enlist the most common technical failures of Nec washing machines, possible causes of malfunctions, and the ways to solve the problems. These guidelines are taken from the official sources, so they are easy to follow for an average user. To top it off, the tables contain error codes for Nec washer models. Each code corresponds to some certain malfunction or failure, so you’ll be able to identify the problem quickly without searching for the printed manual. If your model isn’t mentioned in the list, remember that models of one series usually have the same error code set. Why wait for the washer to be repaired under official warranty when you can eliminate the problems on your own? These step-by-step guides will help you to have your home appliance up and running within a few minutes. However, if the malfunction has been caused by mechanical damage or software failure, you will need professional help. • Is the water supply shut off? Is the washer installed on an uneven floor or is the vibration serious? • Is the door open?